I got more Mystery Fluff from my favorite, Kissed by the Moon! I was so excited to see what I got - I'm kind of into surprises, can you tell?? I put the prices of what I would purchase these diapers as USED. Again, I spent $40 on this Loved Mystery Fluff, and I received $63 worth of diapers!! Insane! I didn't put a price for the Tini Fit, since I purchased that in their used section, it was not a part of the Mystery Fluff purchase. But I'm oh-so-excited about that cute Tini Fit! I took a couple pictures of the inside of the GroVia AIO and the BG 4.0, because I thought it had some strange pilling on both of the dipes from KBTM. 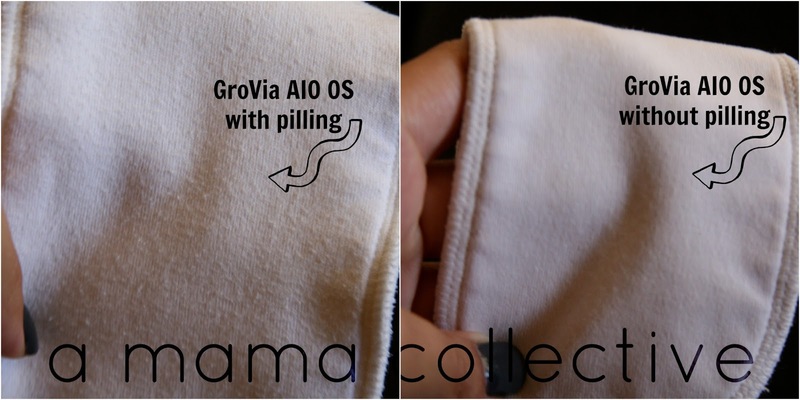 Neither of my current GroVia or BG 4.0s have this pilling, so I just wanted to compare the two. The diapers from Kissed by the Moon Mystery Fluff are on the left, and mine that have been used for at least 1.5 years is on the right. Weird, right?? I can't figure out how the diapers could get this kind of pilling. Anyway, I still can't believe that I received $63 worth for only $40. I would maybe take away a dollar out of each of these diapers for the strange pilling, but that's still $61!Check out my Fluff Mail video below :) And I'm sorry for Siena attempting to play drums right in the middle of the video! You guys, you can't beat this awesome deal from Kissed by the Moon. 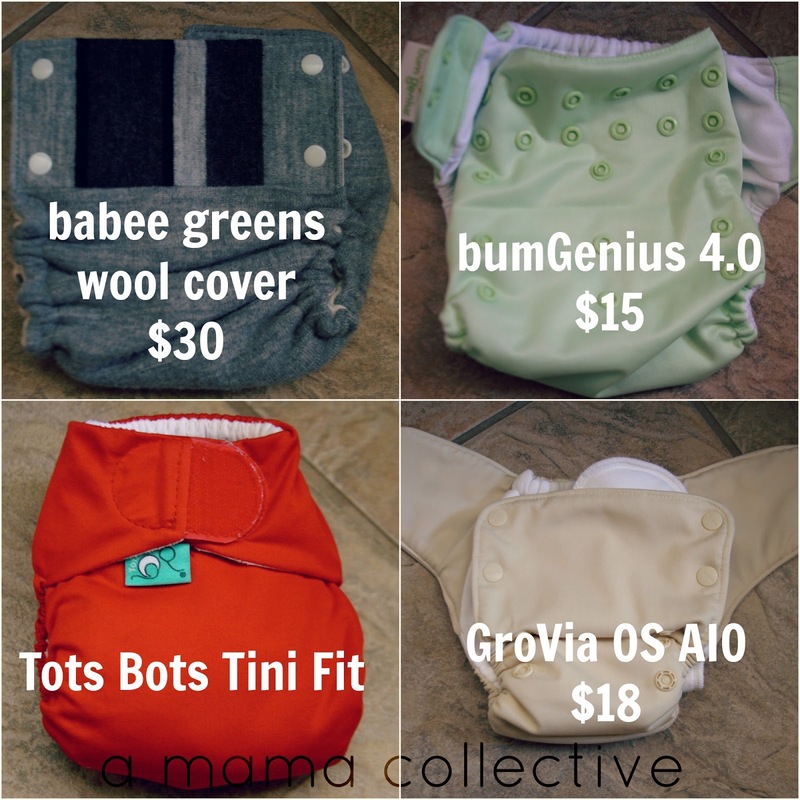 Go now to get some awesome cloth diapers at an incredible price!